Ruvuma Mission Area has qualified to be the 23rd Diocese of the Evangelical Lutheran Church in Tanzania (ELCT) and it will be inaugurated 27 July this year when its leaders will also be consecrated. The first General Assembly of the new diocese was held at Msamala, Songea on 29 Januari this year and elected Rev. Amoni Joel Mwenda o become the first Bishop and Rev. Lawrence Ngumbi , the Assistant to the Bishop. Rev. Mwenda was born at Kidegembye village in Njombe, the then Iringa Region and was consecrate to become a pastor on 13 Novemba 2009 at the Songea Lutheran Parish. He is experienced pastor having served in various parishes including Msamala, Songea, Mbamba-bay and Mbinga Lutheran Parishes. Rev. 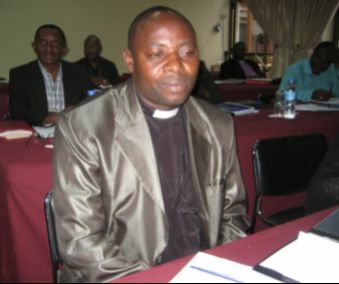 Amoni Mwenda, Bishop-elect of ELCT Ruvuma Diocese.